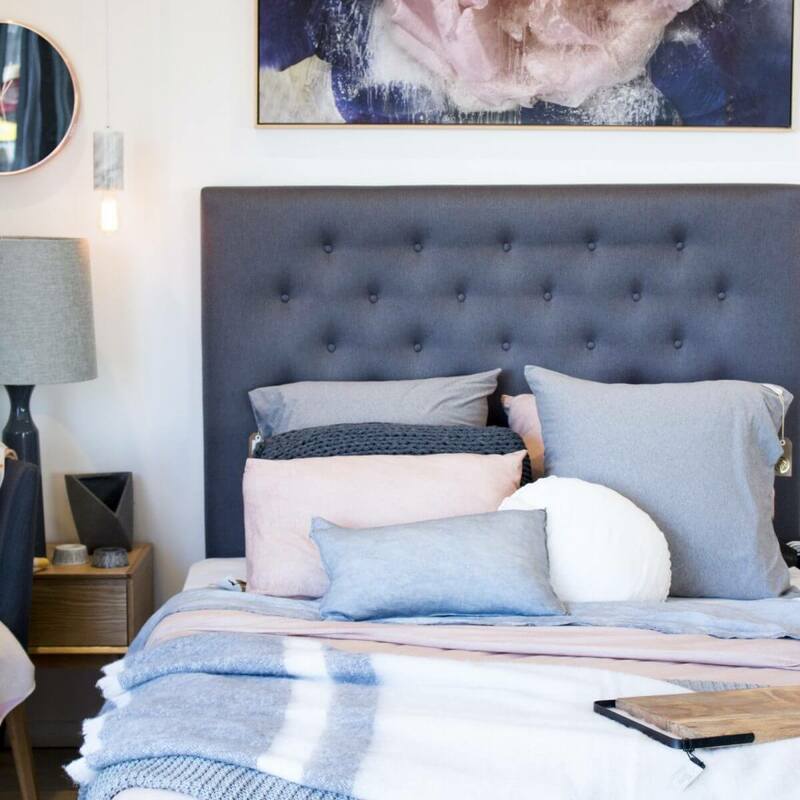 We recently welcomed Carmel of The Styling Collective to our Melbourne showroom to check out the space in real life for the first time, and get her hands into some styling! 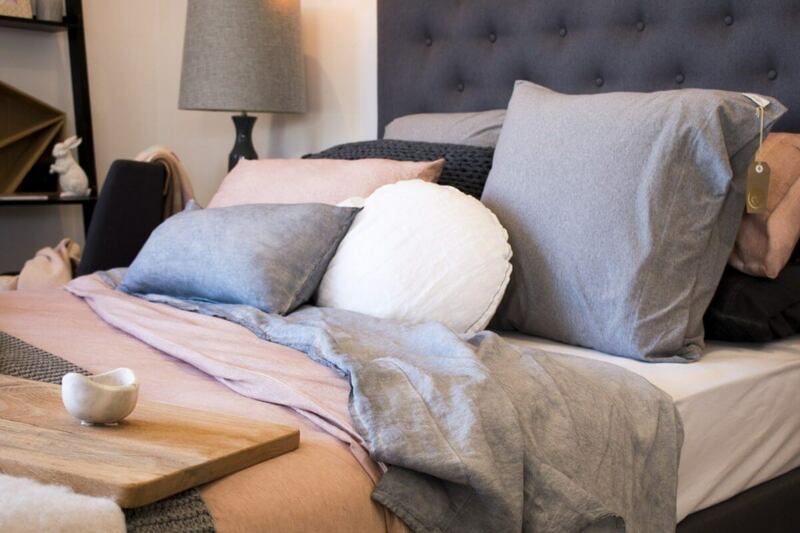 Beautiful linens and pillows on our custom designed bed. Throw and rug from the James Treble for Rugspace collection. Available here. 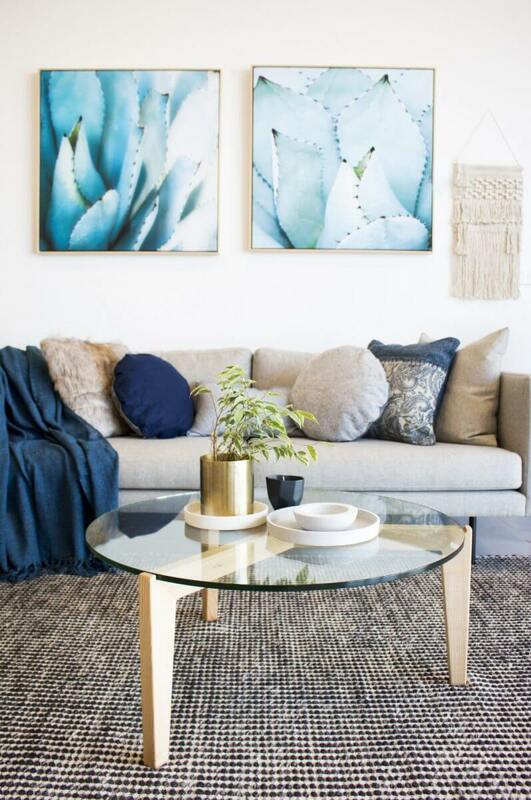 We couldn’t help but ask Carmel to spruce up our showroom and give it The Styling Collective spin! 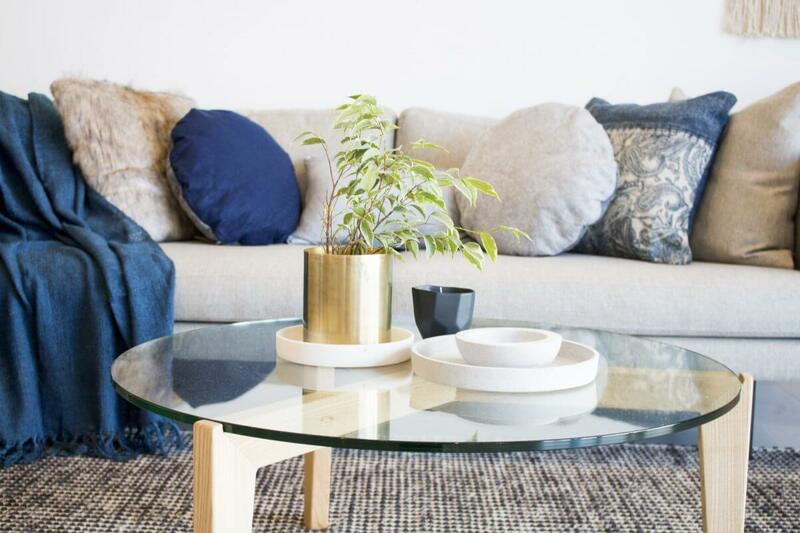 With so much to choose from, we settled for a coffee table and side board update. Carmel also threw in a couple of handy interior styling tips – take note! 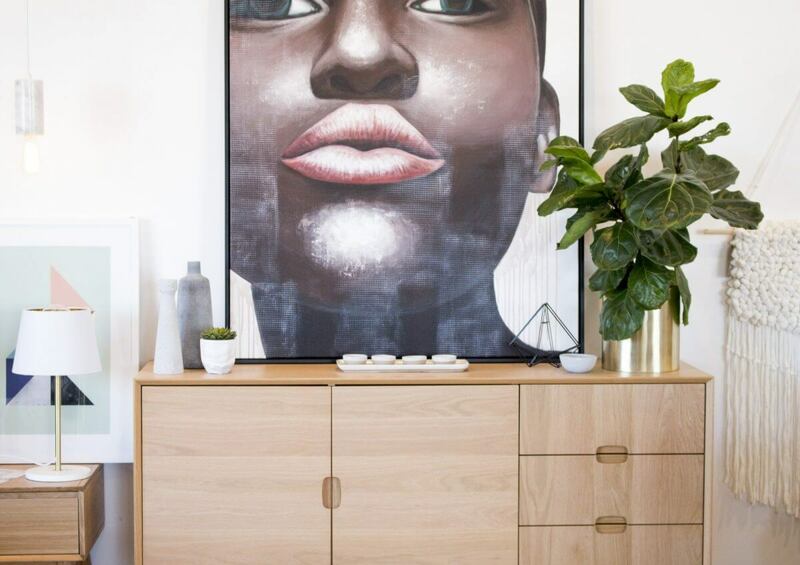 Carmel: Choosing items that are different in height, shape and dimension is a great way to create an interesting composition on your sideboard. 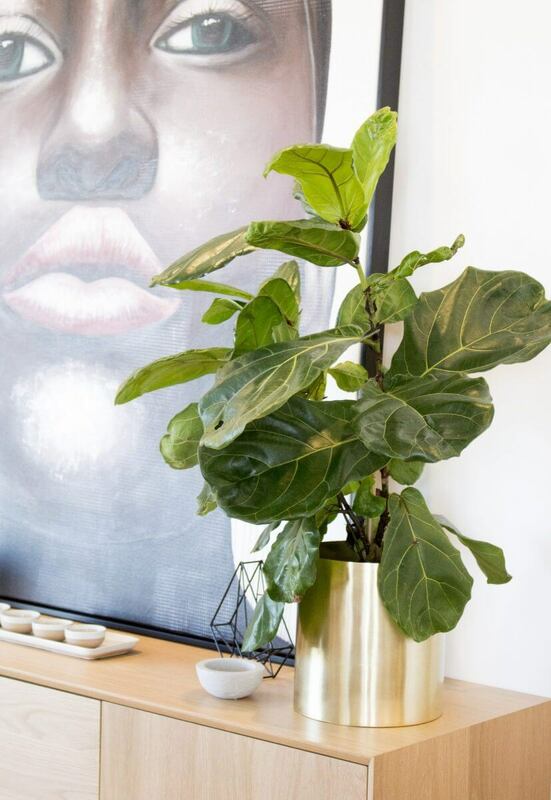 Add greenery or your favourite blooms for a pop of colour! 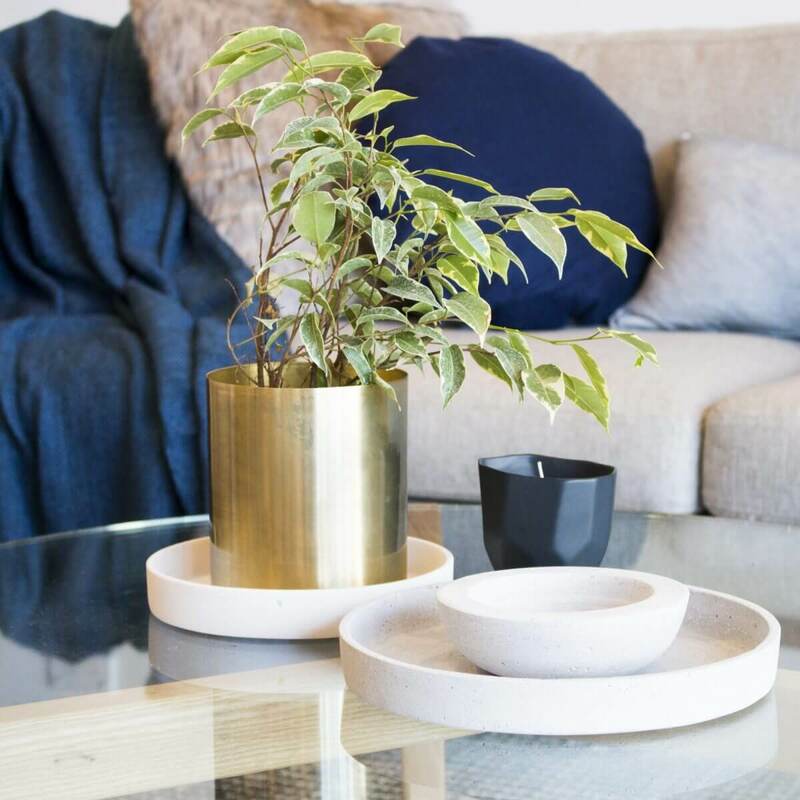 Carmel: When choosing pieces for your coffee table, keep it simple and functional. 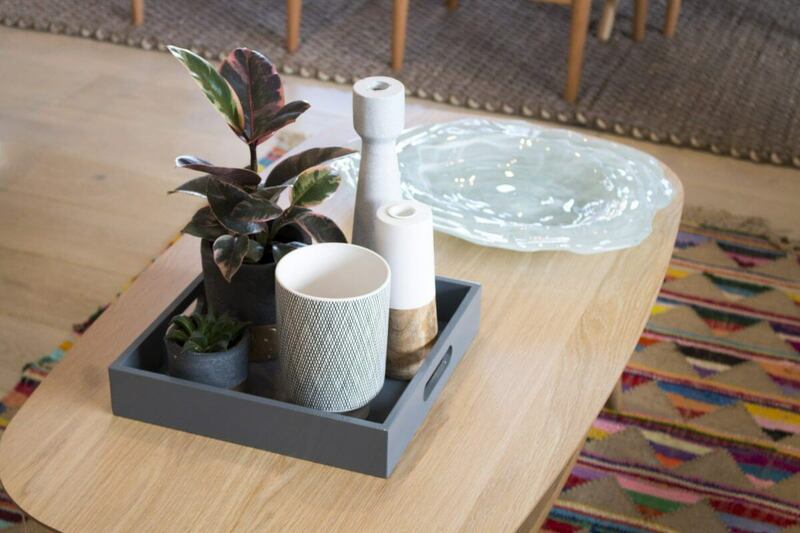 Select a variety of small pieces like a tray, vase, small plant, coffee table book or candle. 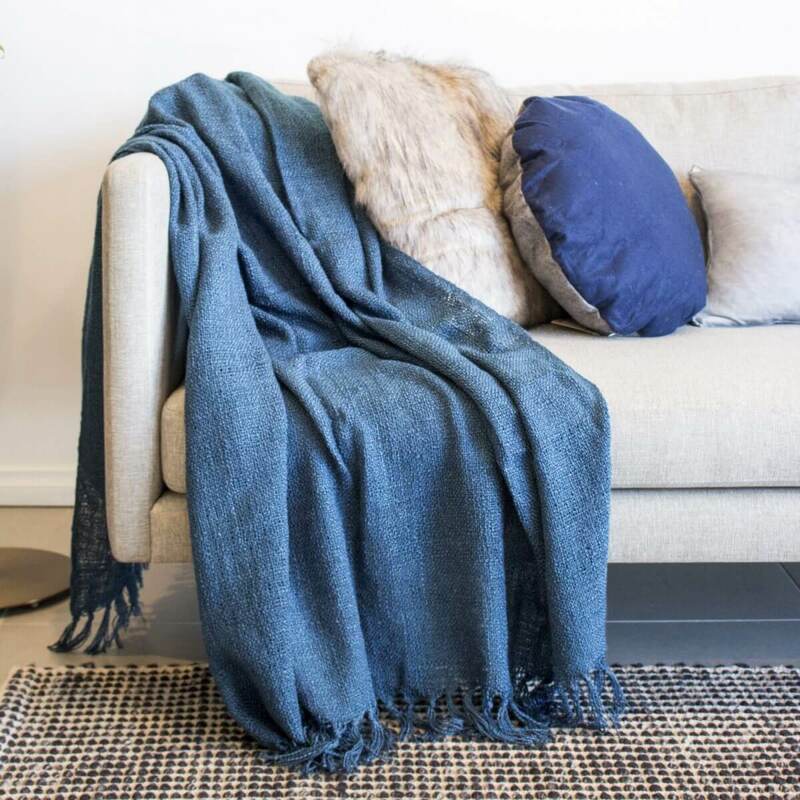 It’s amazing what a few carefully selected cushions and the drape of a throw can do to a space! We love the simple yet effective look Carmel has achieved. 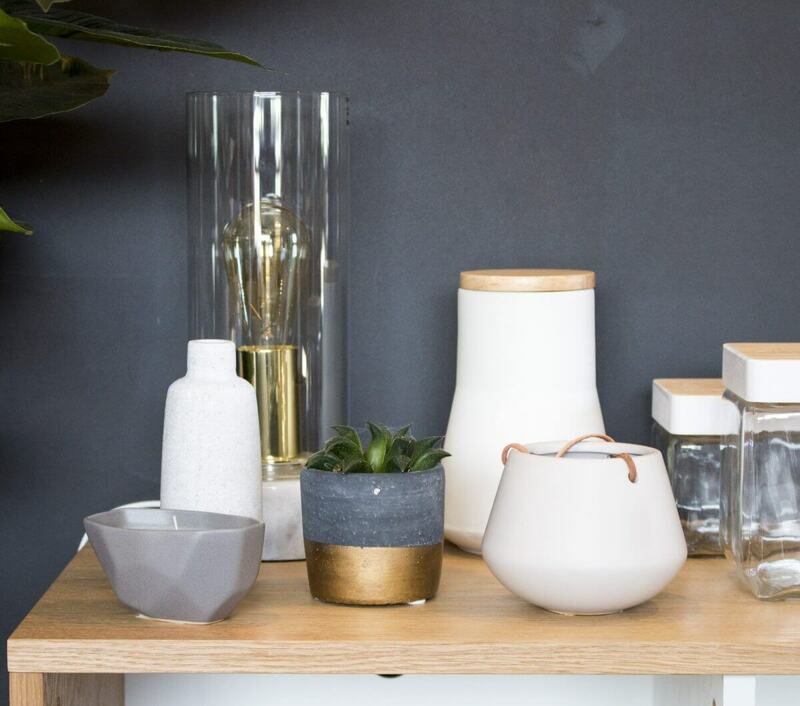 All items exclusively available from our Melbourne Showroom. Special thanks to Carmel for dropping by!